If you are a hardware entrepreneur I’m betting you could probably use a little inspiration. I mean, everyone knows that hardware is really hard, right? So to give you a little motivation boost I’m going to share with you 10 examples of other hardware entrepreneurs, just like you, that have founded startups worth millions, or even billions of dollars. So prepare to be inspired! Nest produces smart thermostats, smoke or carbon dioxide detectors, and remote video monitoring systems. It was founded by two former Apple engineers in 2010. They released their first product, the Nest Learning Thermostat, in 2011. By the end of 2012 it had grown to 130 employees. In 2014, Nest was acquired by Google for an impressive $3.2 billion! Fitbit produces a line of activity-tracking devices with wireless capabilities. The devices can measure the number of footsteps, quality of sleep, steps climbed, and other personal fitness metrics. Their first product was known as the Fitbit Tracker. The company was founded in 2007 by James Park and Eric Friedman, and is headquartered in San Francisco, CA. In 2015, the company announced it had filed for an IPO valued at $358 million dollars on the New York Stock Exchange. Fitbit currently has a market valuation of $3.2 billion! 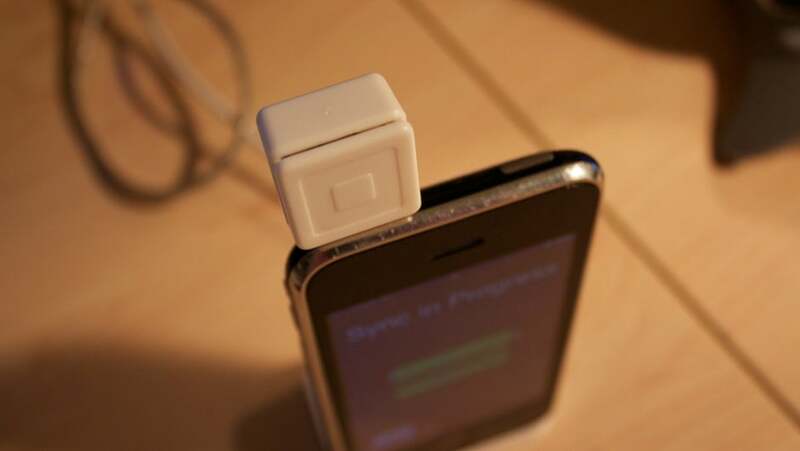 Square Inc., a San Francisco based company, offers financial, merchant and mobile wallet services. It specializes in marketing payment programs based on their Square Reader device. Jack Dorsey and Jim McKelvey founded the company in 2009, launching the company’s services and app the following year. In November 2015, Square began trading on the NYSE. Square now has a market value of $3.2 billion. Oculus is a virtual reality technology company founded in 2012. Later that year the two founders raised a record-breaking $2.4 million on Kickstarter. Their first product is a virtual reality headset called the “Oculus Rift” which is due to release in Q1 2016. Somewhat surprisingly, long before it even completed its first product, Oculus was acquired by Facebook in 2014 for $2 billion! GoPro produces action cameras which are often used in extreme-action videography. The company was founded by Nick Woodman in 2002. Woodman worked on the first camera model for two years releasing the film-based GoPro 35mm Hero in 2004. In its first year, GoPro reported $150,000 in sales. In 2006, GoPro introduced its first digital camera, the GoPro Digital Hero, which generated $800,000 in first year revenue. By 2007, GoPro revenues quadrupled to $3.4 million. In 2014 GoPro filed for an IPO on the NASDAQ with a stock valuation of $2.95 billion. The stock was extremely hot and within a few months the market value shot up to $11.8 billion. GoPro now has a market valuation of $1.7 billion. Jawbone sells wearable devices like wristbands, mobile audio gadgets, speakers and Icon Bluetooth headsets. In 2013 it acquired Body Media, a renowned company that manufactures wearable devices that monitor health. In 2016 they announced raising $165 million which gave Jawbone a valuation of $1.5 billion. Dropcam makes Wi-Fi video streaming cameras that allow users to view live feeds through Dropcam’s cloud-based service. Dropcam received seed funding from tech investor Mitch Kapor. In 2012 it secured $12 million in venture funding from Menlo Ventures. In 2013 they raised an additional $30 million from Felicis Ventures. Google’s Nest Labs acquired Dropcam in 2014 for $555 million. Makerbot was founded in 2009 by Bre Pettis, Adam Mayer, and Zach Smit to produce 3D printers. They started shipping printers in 2009, and by 2011 they had sold approximately 3,500 units. In 2011 they received $10 million in venture funding from The Foundry Group. MakerBot was acquired by Stratasys in 2013 for $403 million. Pebble had long been making smart watches before Apple Watch was released. It had one of the most successful Kickstarter campaigns of all time. For their first product they were able to raise over $10 million in about 30 days on Kickstarter. Within their first year it had sold over 400,000 watches! They are definitely not a one hit wonder – Pebble raised a record-shattering $20 million on Kickstarter for its second generation watch. Jibo, a Cambridge, Massachusetts based startup founded in 2012 is the developer of the first “social robot” for homes. The initial funding was crowdfunded where the company was able to raise $3.7 million and sold around 6,000 units. The robot, which is also called a “family robot”, has generated keen interest within Asian markets and hence the investments from companies like Samsung, LG, Acer and Denstu Ventures. Currently Jibo is valued at $128.5 million and recently closed a $16M Series A extended funding at the end of 2015. These are just a few of the hardware startups out there that have been a huge success. All of the media attention is usually placed on successful software companies, but there are numerous hardware startups that have also made it big. In fact, hardware startups see exits twice as large as seen in other tech sectors. Now it’s your turn to make your hardware startup a runaway success.